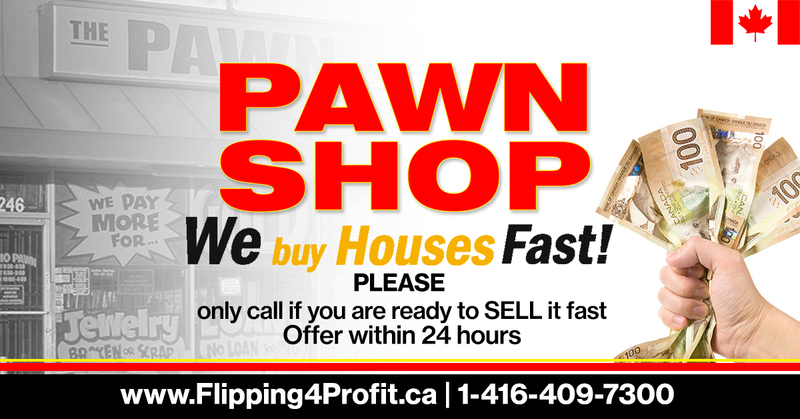 We Buy Ugly Houses for CASH in Canada which is highly beneficial to property owners needing cash and the ones who need to close fast. 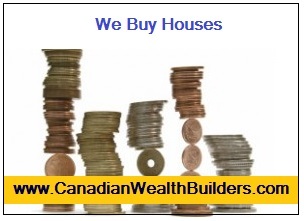 We buy houses in Canada is supported by the Professional Real Estate Investors Group (PREIG) Canada members who have professional knowledge, training and resources. 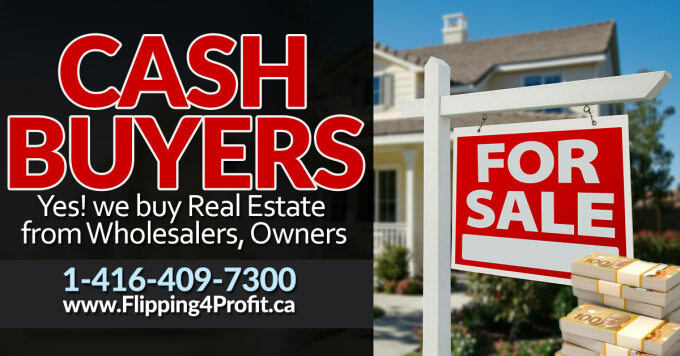 You might be aware of advertisements on Canadian real estate investors who purchase houses for cash entirely with fast closing to satisfy the needs of sellers. You may ask yourself what sort of business is buying houses? There are actually many reasons for people to purchase houses in Canada, and just as many reasons for people to sell their houses. Many house owners list their properties everyday in hope to make an instant sale, while try to make a decent profit out of the deal. * People oftentimes invested heavily in their homes, but soon disappointed, and even angry at the drastic changes that realtors require just to get a fast sale. 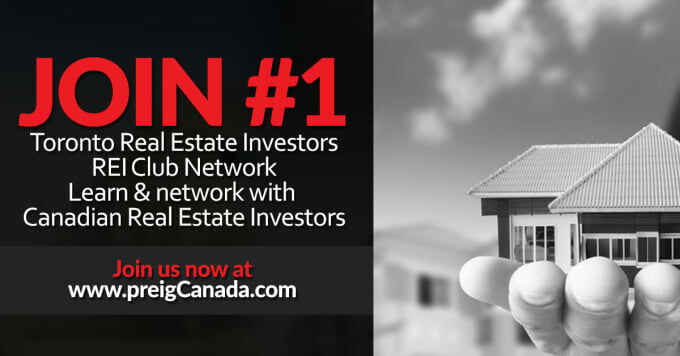 As a full time Canadian real estate investor, we must be creating massive and passive income by facilitating many types of deals. We have to fully understand the scope of every deal, have the capability to analyze it fully and make informed decisions as to the proper exit strategy. Whether we are purchasing a property for ourselves, for a joint venture project or have the property under contract to assign, we must be able to outline all potential expenses pertaining to the acquisition. Closing costs are a necessary part of the expenses. One of the worst things that a full-time Canadian real estate investor despises is getting calls from tenants for some small insignificant thing in your unit that needs fixing. There are ways to be able to alleviate this and have the tenant want to be responsible for small insignificant repairs and never bother you with them, thus keeping your maintenance to zero. Is this possible? As a full-time Canadian real estate investor or landlord, we only have enough time in the day to do certain things, and one of them should not be responding to a continuous barrage of tenant problems. We need to utilize our time in creating more massive and passive income for ourselves. Foreclosure Process in Alberta – As a full-time Canadian real estate investor, we must fully understand the foreclosure process in our own province in order to both advise the owners we are helping and to take advantage of the legal processes and time lines to increase our potential streams of income. We are continuing the article on the Foreclosure process in Alberta. We are up to the point where the lawyer has sent the defaulting owner a demand letter to which there has been no response. The owner will then be summoned to court to appear in front of a judge. At this point, an Order Nisi (order for sale) is filed, and the judge will assign a redemption period based on what the borrower’s chances of paying off this property are. The redemption period is typically six months, which means that the owner gets to live in the property without paying for six months(although the mortgage payments, legal fees and interest are still racking up. This period and the time leading up to this point is a golden opportunity for an investor to get in there, make a deal to take over that property, pay off the arrears, and be able to make some amazing money. In our real estate training we go into this process in great depth. Once the Order Nisi is filed, and the mode of sale is ordered by the courts there is still time to help that owner but we have to become even more creative in our strategies. This is why knowledge, skill and education are key in making lots of money in Canadian Foreclosures. 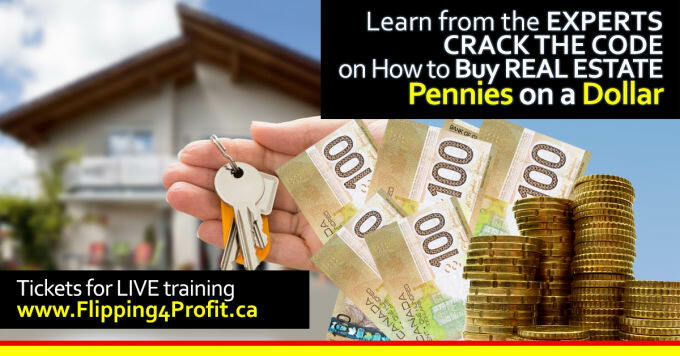 World Wealth Builders offers an intensive 3 day training on Foreclosures in Canada and highlights your province specifically. In a future article, we will talk about all the advantages that the investor has to be able to capture equity in a property and be able to make tons of money while helping the person that is in trouble at the same time. P.S. Take Action now to attend the eye-opening seminar and walk away with confidence, knowledge, and specific “action ideas” that can help you achieve your dreams and leave the rat race behind. To be successful as a full time real estate investor, you will need to create a support team that will help make you rich. We like to call this your “entourage of experts.” We are continuing in our series. How many professionals do we need on our team? The question to be asked is: how many people do we need locally and how many people can we utilize outside of where we live (by that I mean other towns or cities that we are, or plan to do business in). Becoming a full time real estate investor means creating opportunities for ourselves on a regular basis to build massive and passive income for ourselves, just like a regular business would.We need to set it up so we can get paid on a regular basis. We need to do things differently than what amateur “conventional” minded real estate investors do. From my experience, the average real estate investor uses his/her own money for every stage of a property purchase. They continue to put money into a property that is being used for the typical uses such as flipping that property or holding that property for appreciation. Both these “strategies” end up buying us a job in becoming a landlord or a renovator, and both take way too much time! Ten thousand dollars in Tax credit will be available for Ontario seniors to renovate and improve accessibility. The Ontario government bill passed in the minority legislature by a vote of 68 to 36. This was promised to seniors in Ontario by Premier McGuinty during the election campaign. “The tax credit is worth up to $10,000 in eligible home renovation expenses and $1,500 each year, or 15 per cent” Navtaj Chandhoke, founder of World Wealth Builders, a Canadian Real Estate investment training educational and mentoring center in Toronto, Ontario. I would like to commend you on your recent article where you reference the RCMP’s strategy to combat illegal marihuana grow operations and the organized crime groups running them in all corners of the country. Missed a Mortgage Payment in Canada? Are You Facing Foreclosure/Power of Sale?